People often acquire property before marriage. They work hard to earn what they get, and later they find someone to settle down with. Things seem great, but then the marriage does not go as planned and now a divorce is underway. To top it off, the other spouse is trying to claim part of the premarital property as their own. Dividing property during a divorce can be a very contentious issue. Michigan law generally allows a person to keep property if it is “separate property.” Separate property normally is property acquired before marriage and is not divided unless there are special circumstances. Separate property could also be an inheritance or a gift intended only for a certain spouse and kept separate throughout the marriage. An array of other items can also be considered separate property. Examples include awards a person received for pain and suffering (such as in a car accident) or the amount by which an asset grows in value (such as stock), so long as the person’s spouse did not contribute to the growth or appreciation of the asset. However, Michigan law can be very complex and goes further than just a definition of separate property. Many different factors could alter the outcome of your case. Both tests were based on Michigan divorce statutes. The tests allowed for a person to share in the spouse’s “separate” property if he or she “contributed to the acquisition, improvement, or accumulation of the property,” or if a spouse’s share of the marital assets is “insufficient for the suitable support and maintenance” of themselves and any children in his or her care. If you are considering divorce, it is important to keep track of your assets, as well as your spouse’s. Keeping track of all assets and how and when they were acquired will greatly help our divorce attorneys understand how your property will be legally classified in your case. You should also consider making lists of debts. Doing this will help our divorce attorneys get a good idea of what the other spouse might request upon the divorce. Like most other issues in Michigan divorce law, this is not a black and white issue. In fact, it is mostly gray. That means that the facts, along with creative lawyering, will play an important part in dividing the marital estate. This is why a creative and aggressive attorney are so important for a successful outcome. Every divorce case is different and will require its own specific analysis. Because of this, you need experienced lawyers who understand how Michigan divorce and property law work. The Kronzek Firm family law attorneys have decades of experience helping hundreds of spouses come to a successful divorce settlement. Over the years we have helped countless individuals in Ingham County, Eaton County, Barry County, Clinton County, Livingston County, Ionia County, Jackson County, and throughout Mid-Michigan. 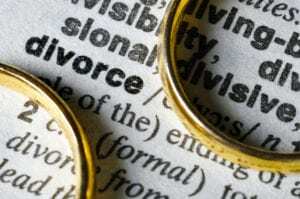 If you are considering a divorce or a legal separation, call The Kronzek Firm today at (517)-886-1000.